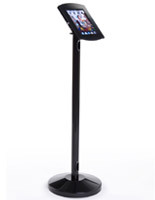 This Air tablet security floor stand is 42" tall and features durable steel and aluminum construction. 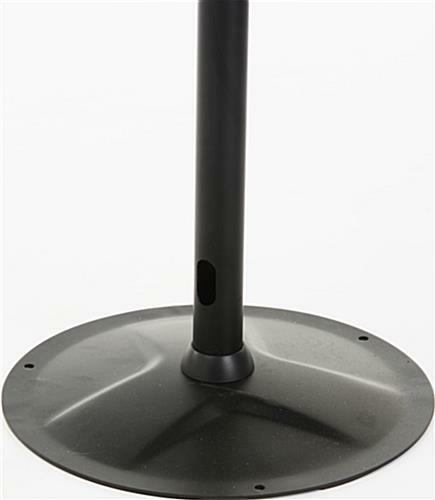 Each 14" diameter high-stability round base is pre-drilled with holes for permanent installation. 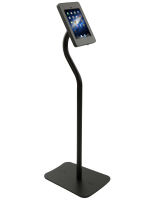 The commercial-grade tablet security floor stand comes with a key-locking enclosure that protects installed devices while allowing customers full access to Home button, camera, speakers, jacks, and charging functions. 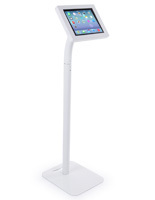 The user-friendly kiosk is a great choice for use in heavy traffic areas such as trade shows or conventions, in retail environments or as a customer service station in professional businesses. 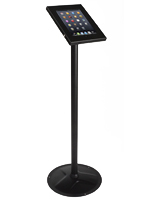 The freestanding black finish tablet security floor stand offers stability and protection for 7" to 10" Apple and Android devices while allowing full program access. 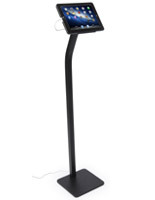 This security floor stand makes an ideal sales or showroom fixture, and easily works for restaurant or hotel check-in as well. 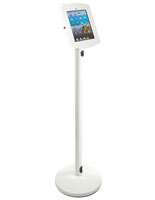 The steel and aluminum case is stable enough for trade show or conference use in heavy traffic areas. 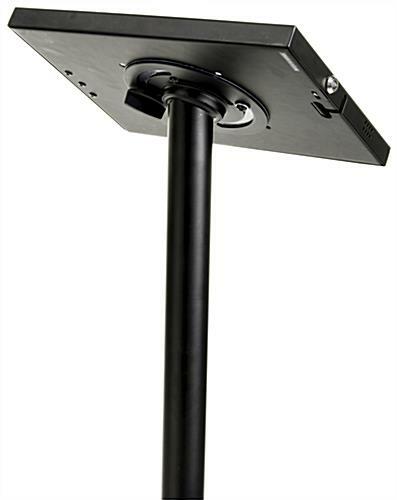 For more permanent installation, the 42" tall floor stand's base is pre-drilled with mounting holes for maximum security in high volume public environments. 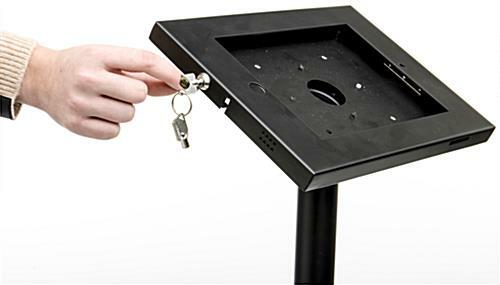 14.0" x 42.0" x 20.0"
8.5" x 11.3" x 0.75"